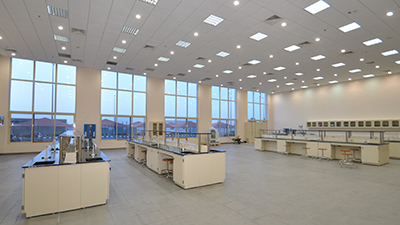 The curriculum is designed to comply with the requirements of ABET accreditation. It includes courses in basic sciences and mathematics, engineering sciences, engineering design, communication skills, and humanities and social sciences. Lab hands-on experience and emphasis on design are important elements that are integrated throughout the curriculum. • At least 15 credit hours of social sciences and humanities, excluding language and technical writing courses.